Date: 4. - 7. April 2019. 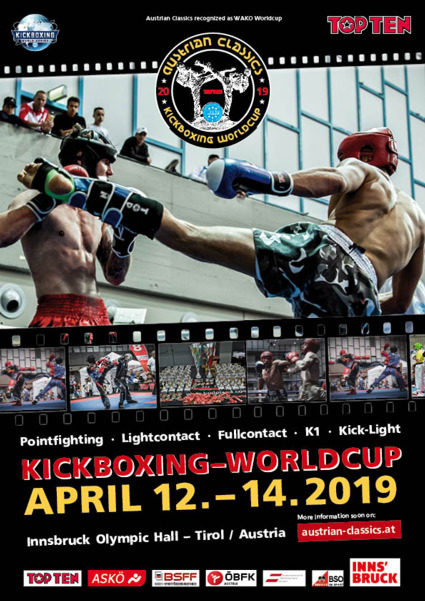 The 4th International Turkish Open Kickboxing European Cup is to be held in Antalya, Turkey from 4-7 April 2019. The registration is still open for just a short time longer at Sportdata.org. Please register your athletes and send us an email to book your hotel for the event. 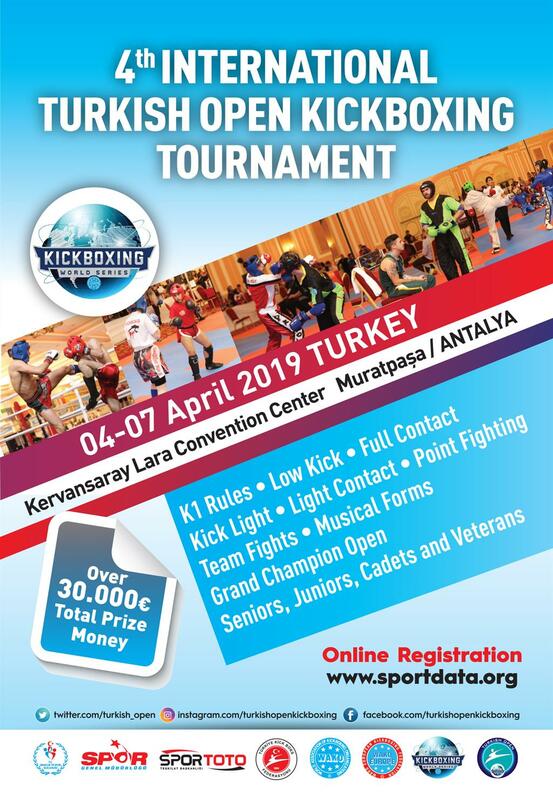 The tournament will take place at the Kervansaray Lara Convention Center. This is a FULL BOARD all-inclusive official hotel event. It is located right on the seaside so be prepared for enjoying the sea and the mountain view. Please contact us at or +90 535 019 15 69. We are confident that you will have a wonderful time in sunny Antalya and you will leave happy that you got away for the weekend! Date: 12. - 14. April 2019. Date: 13. - 14.. April 2019. Date: 16. - 19. May 2019. Please do not hesitate to contact us anytime for further information! Date: 14. - 16. June 2019. Date: 23. August - 1. September 2019.